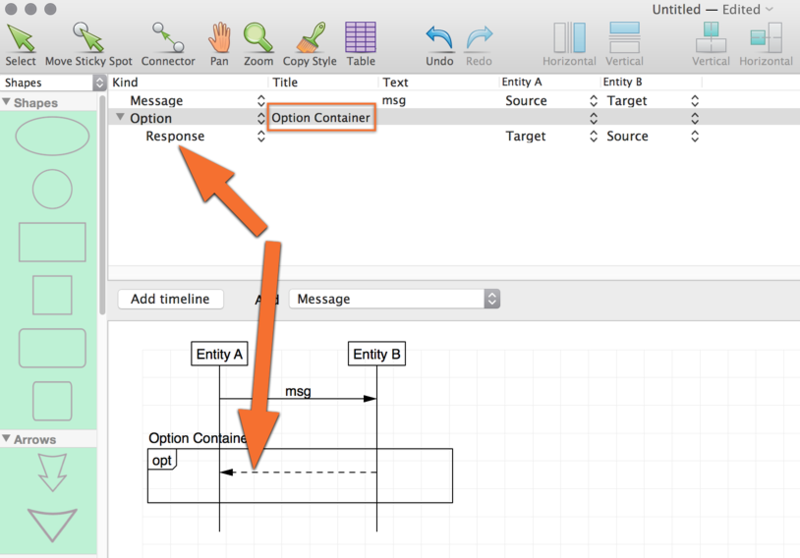 First create a document with “UML Sequence” style (see also below a command driven way to create sequence diagrams). 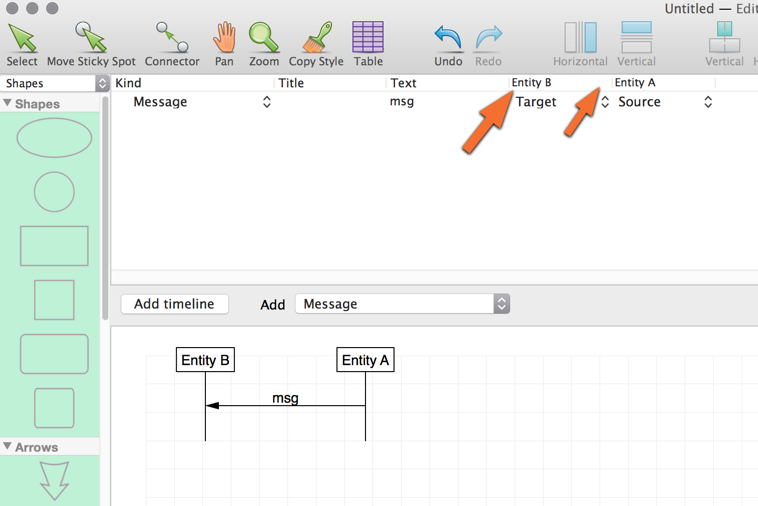 The editor for sequence diagrams consists of 2 parts: an outline and graphic image. 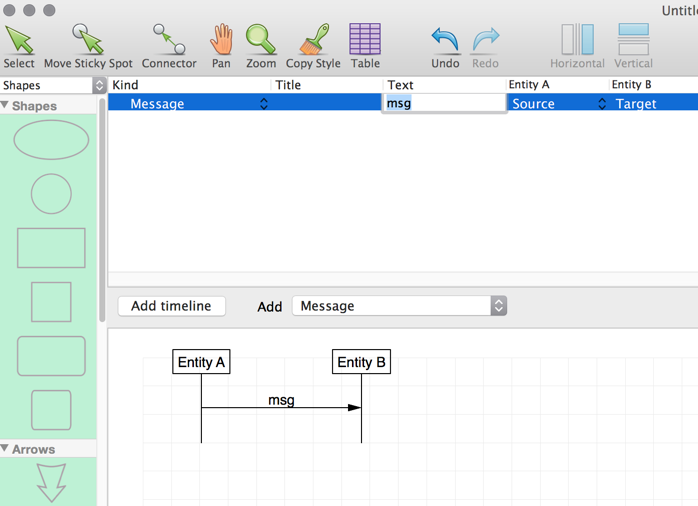 How to create a sequence diagram. 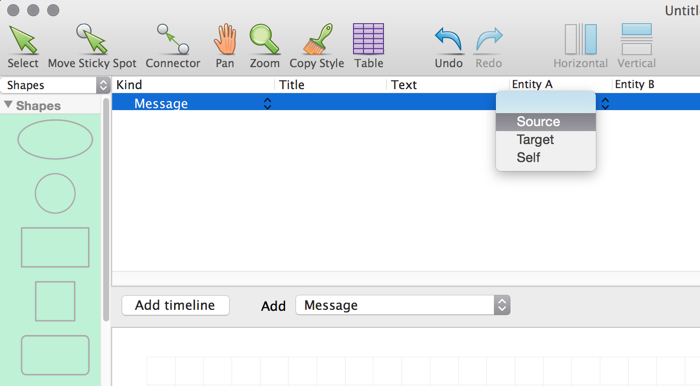 (or select Add Message from the drop down menu). There is also an option to switch between message and response. There is an additional component “Smart connectors” that provides advanced object-avoiding orthogonal and polyline connector routing. This component available as in-app purchase both for Mac App Store and non App Store version of the app. See menu Store inside the app. There is an additional component “Vector Drawing Tools” that allows you to create your own shapes and lines and use them along with predefined shapes. 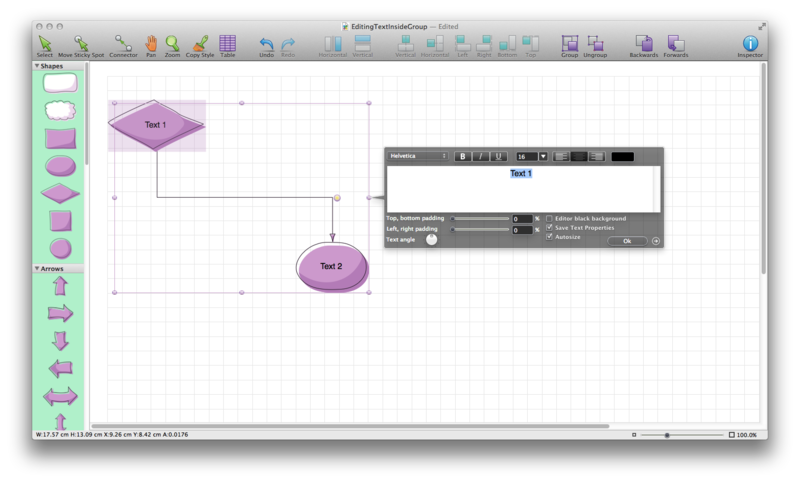 In fact this is a vector drawing editor inside Diagrammix! 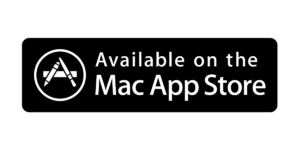 This component available as in-app purchase both for Mac App Store and non App Store version of the app. See menu Store inside the app. You can import stencils from Graffletopia.com. 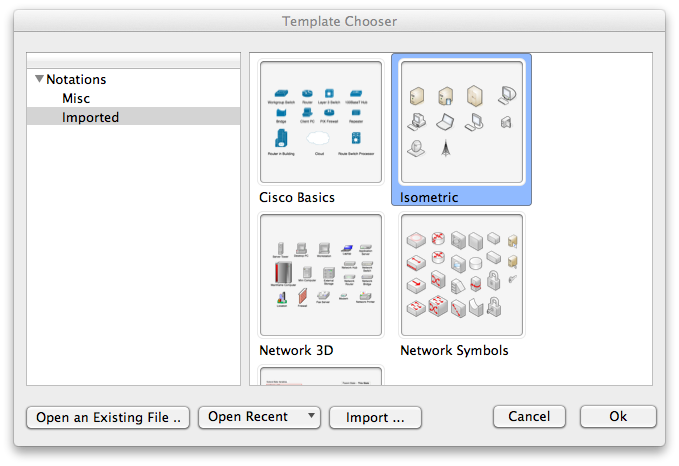 Import option is located on the Template Chooser (File – New or Cmd + N). You can also import stencils into the current document (File – Import). Unnecessary imported groups could be removed from the palette. Right click on the group caption and click Delete menu item. After import you can edit imported elements. 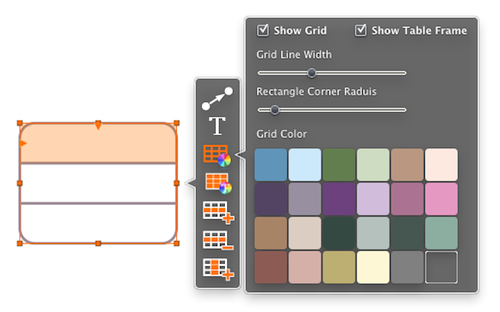 Drag element from the palette, ungroup it one or more times (Cmd+Shift+G), edit, group again or group as element (Object – Group as element, Cmd+Shift+E) if you need connectable element, drag result back to the palette. Imported elements will be added to the derived template based on Customizable Style. New document with all imported elements will be created after import to check results. 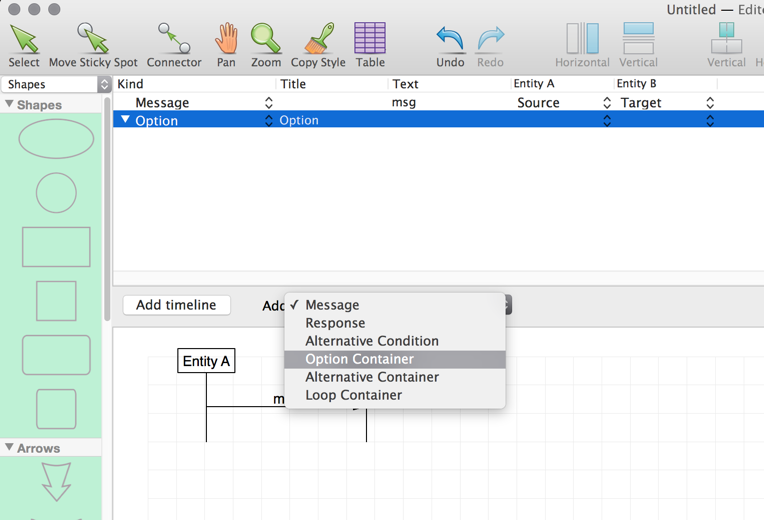 Files with imported elements are located in the “~/Library/Application Support/Diagrammix/Notations/Imported/”. To remove imported stencil right click icon on the Style chooser panel and click Delete menu item. Please, report about probable problems with import. We are currently improving this feature, but many stensils are imported without problems. Try it. and SVG (File > Export as SVG). When you export a drawing using the Export dialog box (File menu), an Export the Drawing dialog box may appear, in which you can specify settings for the exported file. If necessary, you can crop exported images to visible objects bounds, specify background transparency (PNG, TIFF). Resolutions from 72 dpi to 300 dpi are available. 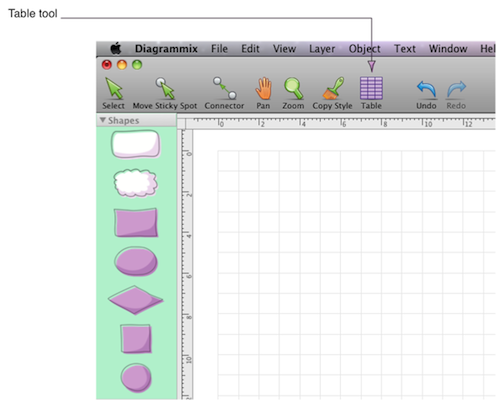 In Diagrammix, the drawing size and printer paper size are set separately. You can set a drawing page size that is the same as, larger than, smaller than, or has a different orientation from the printer paper. 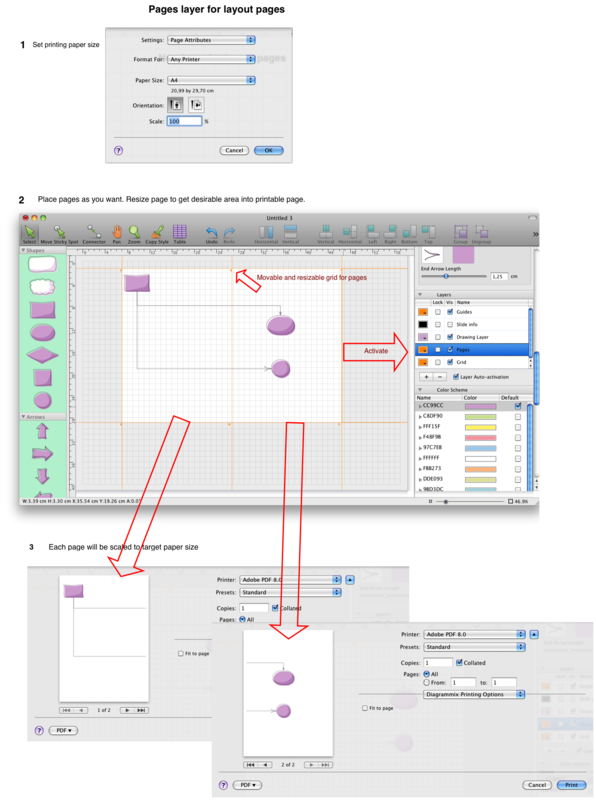 The drawing page size is set in the Preferences – Units & Grid section. 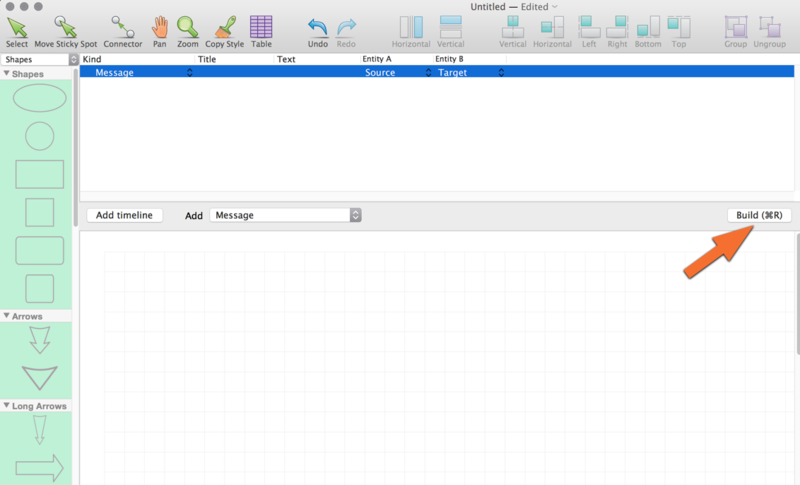 You can select one of the predefined drawing size or set any drawing size. You can change the printer paper size in the File – Page setup dialog. 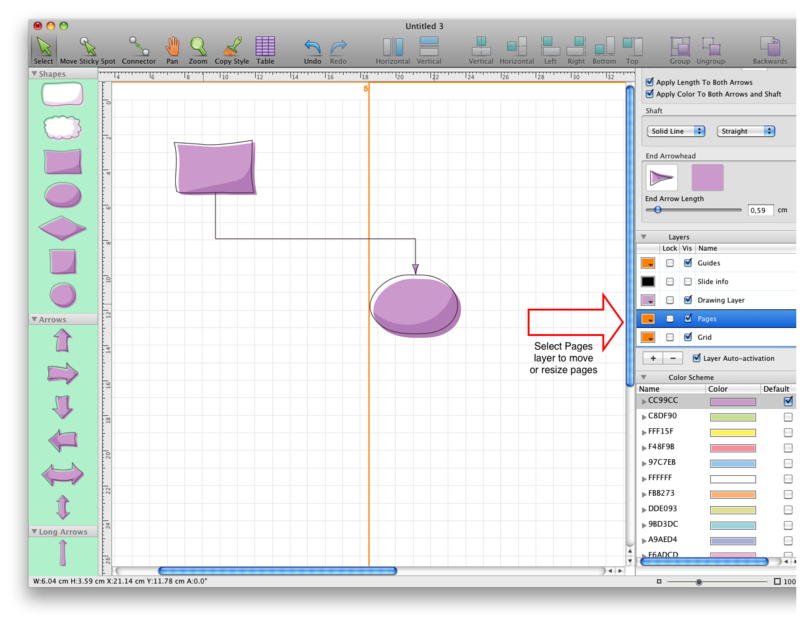 There is special layer Pages (Layer – Layers Palette) to show pages layout. You can move the grid of pages and resize each page. After resizing each page will be scaled to the size of printer paper. Right click on the Pages layer to show context menu with commands “Reset pages layout”, “Add page to the printing range”, “Remove page from the printing range”. Click with Cmd to add (or remove) current page to the printing range. You can change shape into another shape. Text and connectors are preserved. You can access an element’s, connector’s, table’s properties via Inspector. After you have a selection, you can perform operations on the selected objects, similar to the actions you can perform in a popup windows. You can group selected shapes and connectors. Press shortcut Cmd+Shift+G or click menu item Object – Group. 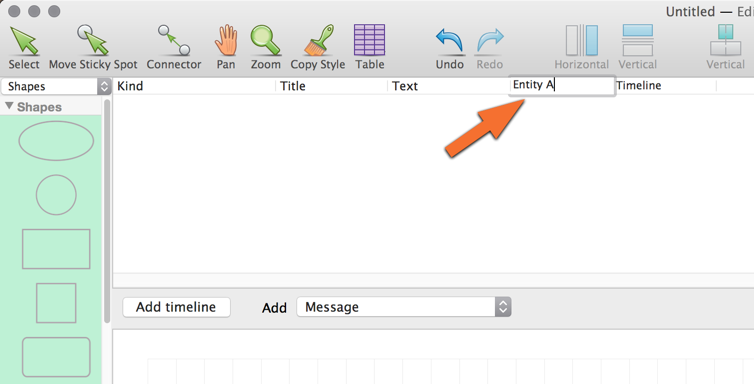 To edit text inside group just select shape in the group, then double click it to open popup menu and click “T” button or press ‘t’ shortcut for this. You can draw connectable tables. 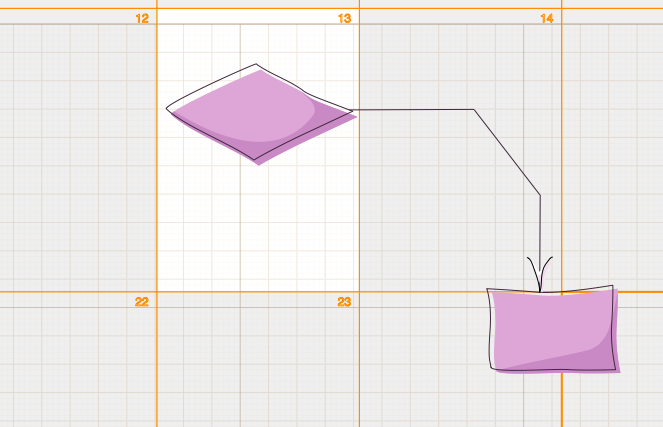 Use Table Tool to draw 3х3 table. Double click table to see menu. 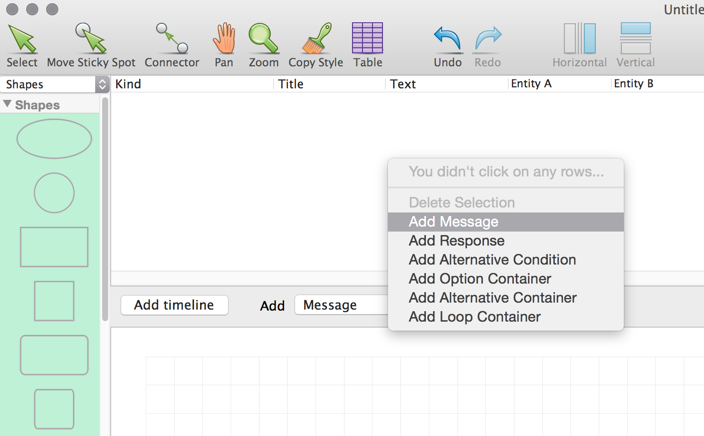 To add/remove row/column use buttons in the menu or commands in the context menu. Select multiple cells with Cmd+click when the menu is visible. Selected cells can be joined. You can split only cells that were previously joined. Select the first cell, and then click on the triangle marker to select current row or column. Selected row or column can be deleted. 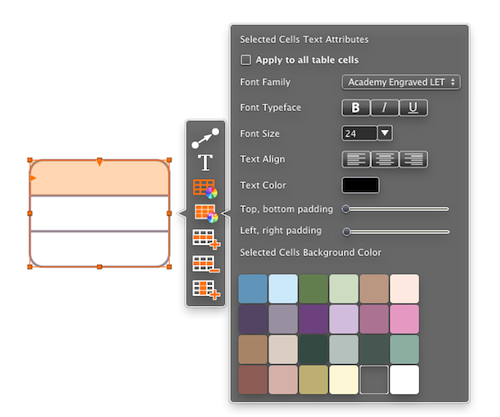 Apply attributes to selected cells with Cell Style Inspector. 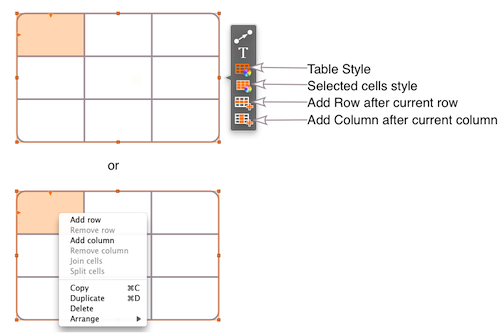 Apply table attributes with Cell Style Inspector. There are two modes of changing table size. 1. 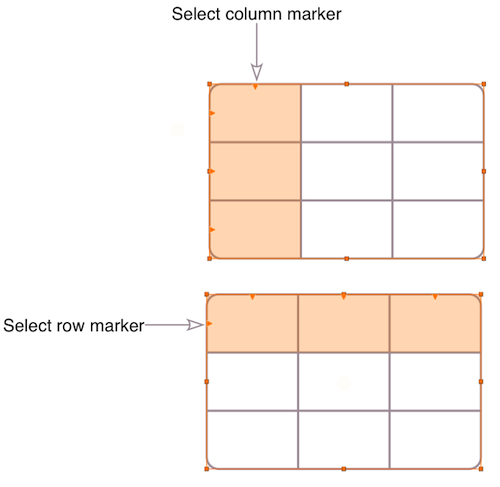 If you drag square marker then table will change it’s overall size with column and rows proportional resizing. 2. If you drag bounding line then column or row changing size occurs.